This was one of those bookclub books that one of us stumbled upon and recommended to the rest of the group. The premise is very interesting. A virtual reality that kids use to learn about life before they become adults and live their own life. It feeds everything wrong with celebrity culture as it exists today while at the same time still helping some of the kids. The book was as good as I’d hoped it would be. It’s not perfect but close enough it’s a great read. 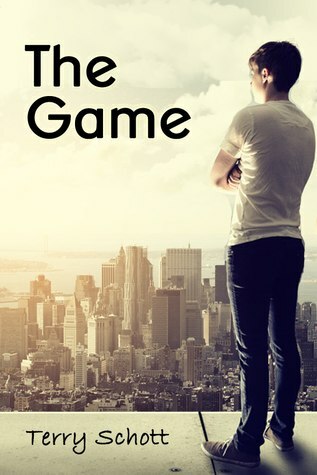 The book follows a couple of players, one who has always been doing really well and another who had luck throw her a curveball she’s still trying to recover from. With such an interesting idea the book handles informing the reader without info dumping incredibly well. I love that every chapter starts with a quote from some fictional interview or book about the game and it gives back story while making it really interesting and building the world around this virtual reality. A great book I could barely put down. Definitely reading onwards with the series. I’ve been intending to read this book for a while. 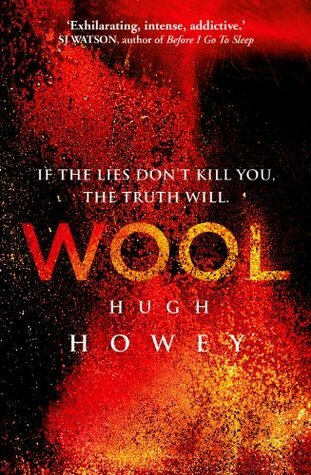 Not only is the author, Hugh Howey, a genuinely nice guy, but the book has been very popular among my peer group and quite a few people have suggested I read it. Thankfully bookclub decided it would be great to read the trilogy, so I’ll be reviewing Shift and Dust as well over the next few months. I didn’t entirely know what to expect of this story when I started. I knew it was dystopian and silo based (whatever that meant exactly), but I was hooked within the first few pages. I loved the sample I read and quickly devoured the rest of the book. It’s not short, over 500 pages but it feels short because I didn’t want to put it down. About a third of the way in, I got a little worried with the number of deaths that this would be another George R. R. Martin style book but it wasn’t, just realistic. The middle felt a little on the slow side plot wise, but character and situation wise was still interesting and the action sequences occasionally had me confused. The premise isn’t really something new. People in a small society being controlled and kept in their insular place while the world outside tries to recover, but there was something very fresh in this telling of it. The societies rules were a new take. I’m very much looking forward to reading the sequel and loved this book. Not perfect but close enough and a relief to read a popular book that definitely deserves it. This was the next book on my classic challenge. I’ve always wanted to read this one. 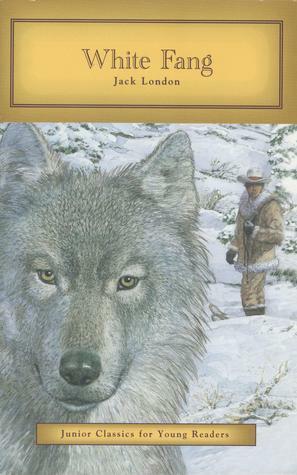 White Fang is one of the shorter classics books and didn’t take me too long to read. Right from the beginning I was captivated by the way the author explained the minds of wolves and of the peril of the two men in the wilderness and being hunted by a whole pack of the animals. Just like most classics it seemed like the story took a while to get to its point, although having now finished I’m still not completely sure what all of the story was actually there for. With that said I enjoyed every bit of story. I really think the author’s voice was what did it. I could have had a year’s worth of weather reports in the same voice and enjoyed it. The last quarter of the book was the best bit. White Fang came into his own and the author gave him a sort of justice to finish things off. Brilliant short classic by a brilliant writer. It made sense that as a fantasy writer I would read one of the most raved about fantasy books ever, so I borrowed a copy of the first book from a friend. The book started astoundingly well. 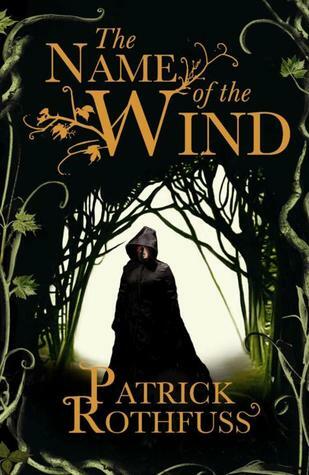 There’s something very cool about the way Patrick Rothfuss writes. The way he constructs a sentence and describes things, sometimes even everyday ordinary things, that just works. He didn’t seem to waste a single word. I loved the first half of the story immensly and didn’t want to put the book down. The characters were all brilliant and the storytelling feel of it was also really comfortable. But I found the second half didn’t appeal to me quite so much. I felt once Kvothe was at the University that the plot slowed more than I’d hoped it would and I grew a little bored. I was also disappointed with the ending. It feels very much like one story that’s being chopped into three because it’s so long not because it naturally breaks up into smaller chunks. As much as I really enjoyed the writing and the book as a whole I can’t recommend anyone starts reading it while the third book remains unpublished. It would be like starting Lord of the Rings with only The Fellowship of the Ring published and no ending. That said, I will be reading onwards and I still really like this author’s style, I just might not bother with the second until right before the third one is due out. I hate getting to the end of the book and not feeling like even a part of the plot is finished.